OVER 20 HALLOWEEN-THEMED PHOTO INSTALLATIONS! Embark upon a monster-friendly adventure of happy haunting through Spookville: Halloween Theme Park. Immerse yourself into a “No Scare” World of Halloween as you explore iconic Halloween themed areas filled with Instagram-friendly, interactive installations screaming for selfies (we call Spookies™). 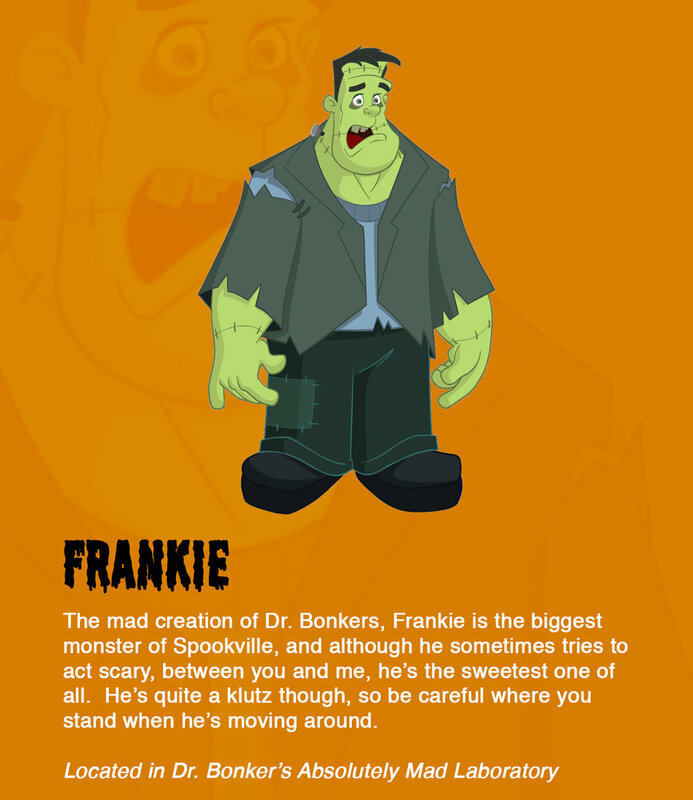 Guests of Spookville will also get to Meet & Eek!™ with our cast of whacky monster characters. 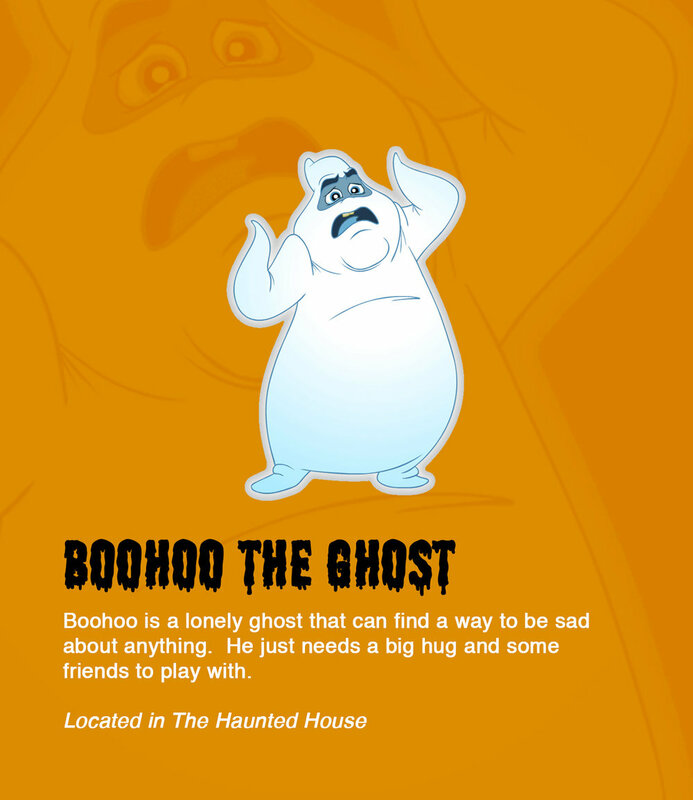 No one leaves without a phone filled with frightfully fun memories to share with your friends & family! And a lot more creepy fun! Adults looking for some boos can enjoy "The Spookeasy Bar” (Ages 21+) featuring Halloween-themed cocktails and spooktacular live music by our haunted ghost band playing Halloween song classics such as “Monster Mash”, “The Addams Family”, “Thriller”, etc. For Kids and adults with a monster appetite, Spookville also offers ghoulishly good eats at our "Spookeasy Grill". The world of Spookville is going to vanish for good because people don’t believe in monsters anymore. An evil villain called The Heebie Jeebie has placed a curse on the friendly monsters of Spookville to soon be banished to a horrible place called The Unimaginable and people will never remember they ever existed. It’s going to take a lot of people believing in monsters again to save Spookville and the monsters that call it home. The only way to help break this curse is by finding your inner child & imagination, visiting Spookville to meet these friendly monsters, and snapping plenty of selfies (we call Spookies™) with them to show your friends & family that monsters exist. The more people you tell, the more pictures you share of your visit to Spookville, the more your friends & family will start believing in monsters again. 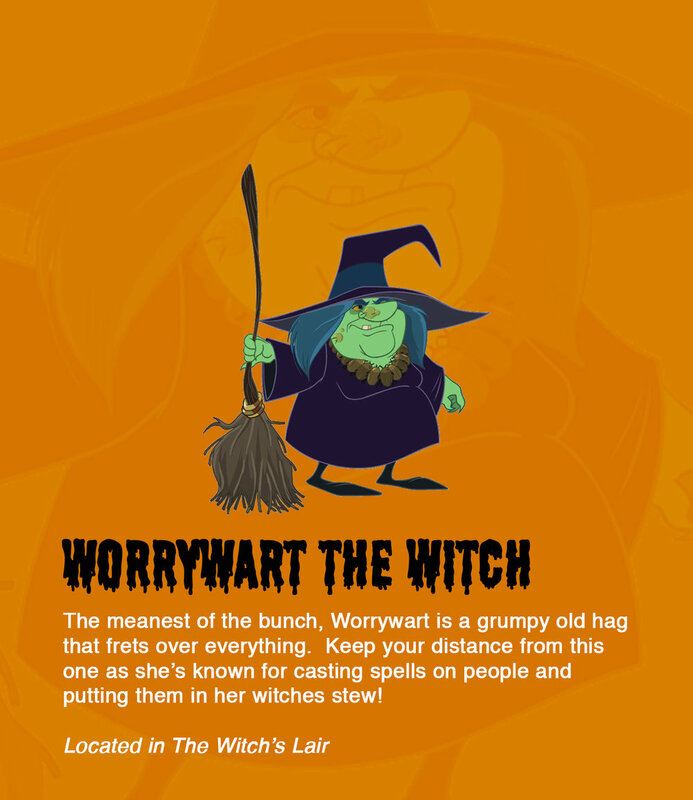 Only you can help break the curse of Spookville, defeat the Heebie Jeebie, and save your monster friends! 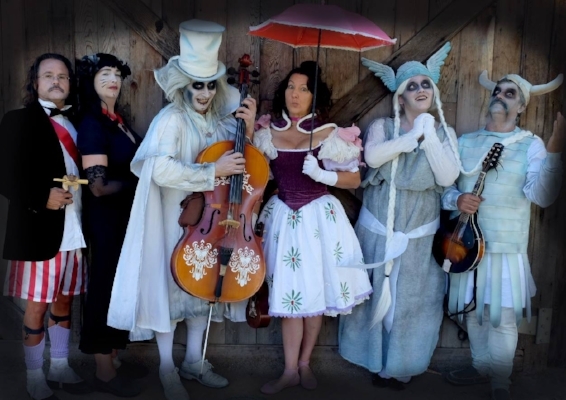 Live music by The Grinning Ghosts Band performing all your favorite Halloween song classics! Instagram-worthy Halloween-themed witch-craft cocktails, strange brews, bloody reds and ghostly whites! Want to host a private Halloween event with us? 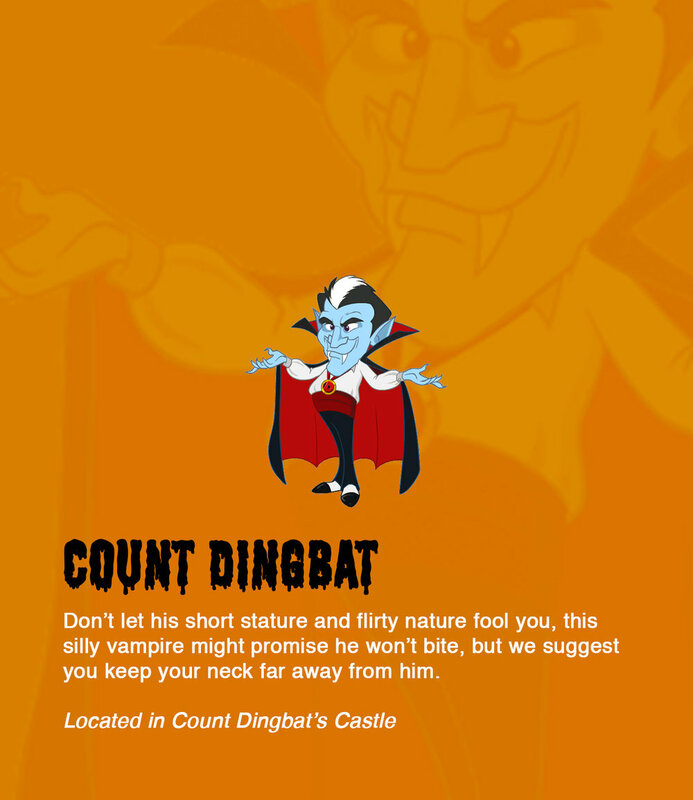 We’ve got the spookiest place in town (monsters included) that can be customized to meet your every ghoulish need. Spookville will be haunting San Francisco from Friday, October 26th through Wednesday, October 31st. Operational hours are 1pm-9pm. Due to the extremely limited number of days for this attraction, tickets will sell out fast, so buy early! Adults are $36. Children ages 3-12 are $28. Children 2 and under are Free! Tickets are valid only at the purchased date and time slot. No. The whole inspiration behind Spookville was to create a “No Scare” Halloween attraction for both adult scaredy-cats and young children to be able to enjoy! Is Spookville just for kids? Absolutely not! We designed Spookville to be entertaining and engaging for Halloween enthusiasts of all ages! It just helps to be a “kid at heart” to have the most fun! All ticket sales are non-refundable. However, you can transfer your tickets to another person. If you need to transfer your ticket to another person, simply follow these simple instructions (click here). For further assistance, please contact our ticketing partner Eventbrite Customer Support. Can I exchange my tickets for a different timeslot? Unfortunately, we cannot do timeslot exchanges. No exceptions can be made. How long will my visit to Spookville take? Your adventure through Spookville lasts 45 minutes. Adults (21+) are then welcome to enjoy our Spookeasy Bar with Halloween-themed cocktails and spooktacular live music by our ghost band. Spookville also offers ghoulishly good eats through our frightfully delightful restaurant partners. Please arrive at least 15 minutes early. If you arrive 20 minutes after your purchased timeslot, the gates to Spookville will have closed and locked shut, and you will not be able to enter. We do not offer refunds, so don't be a DOA (Dead on Arrival)! Bring your ticket, a photo ID, your inner child, and your spooky self! Costumes are only allowed for children ages 12 and under. Unfortunately, costumes are not allowed for ages 13 and up. For security reasons and for all of our guests to receive the best experience possible, we need a clear distinction between our Spookville monsters and our adult visitors. Strollers, large bags and bad attitudes! Are there any rules about taking photos? We want you to have a spooktacular time and capture this magical experience. You are welcome to take photos, but please be considerate and time-sensitive of others trying to also take pictures with our characters and instillations. Tripods, excessive props, commercial or product shoots, media shoots, fashion shoots, press interviews, and all professional video equipment are prohibited without advance approval and accompaniment from a Spookville representative. Contact us for press requests. Are there discounts for schools and students? We don't offer student discounts, but we are reaching out to schools about setting up school field trips to Spookville! Speak to your teacher or principal about contacting us! Yes! Please contact us for availability and pricing. Thank you for contacting us! 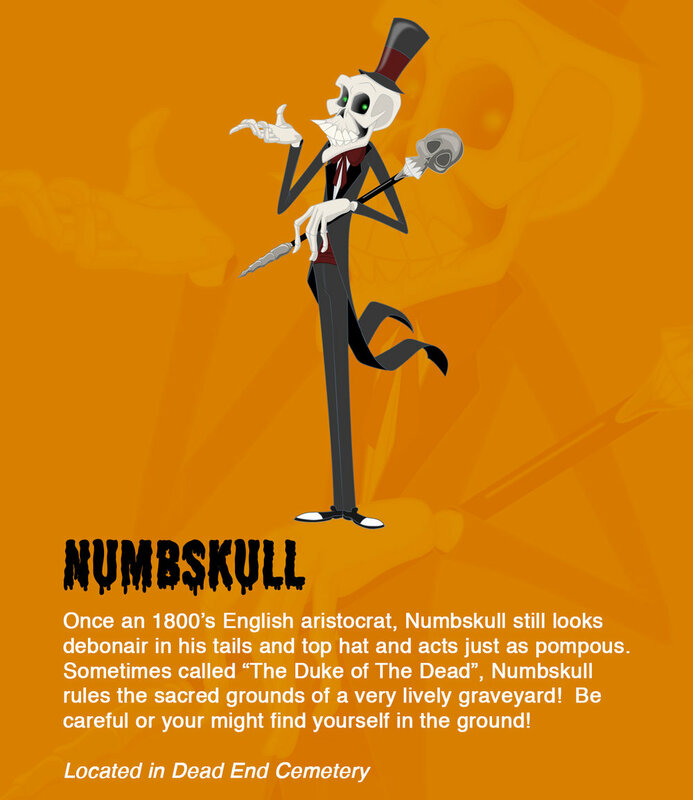 A Spookville representative will be in touch with you shortly!